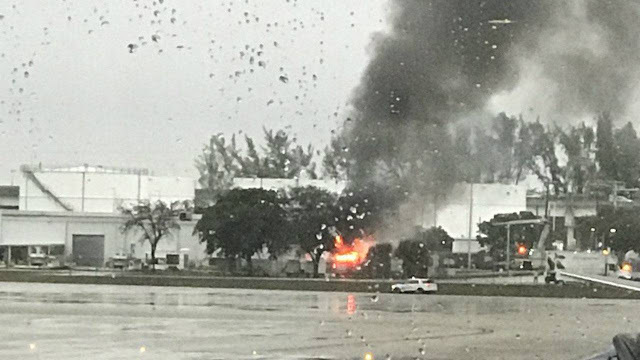 FORT LAUDERDALE, Florida - A small fire at Fort Lauderdale Hollywood International Airport closed the runway and delayed flights for roughly 20 minutes on Saturday, according to authorities. A hydrant truck caught fire on the northwest part of the airport and the runway was closed for the safety of the planes and firetrucks driving around the tarmac, authorities said. The fire was put out and no injuries were reported, authorities said.